This text is excerpted from The Gospel according to Mark, by Julie M. Smith, 424-432. It includes the New Rendition, Notes, and Analysis. 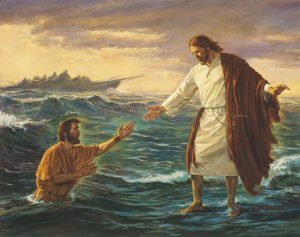 This entry was posted in Julie M. Smith, Mark, Mark 6, Miracles of Jesus on March 20, 2019 by Administrator.